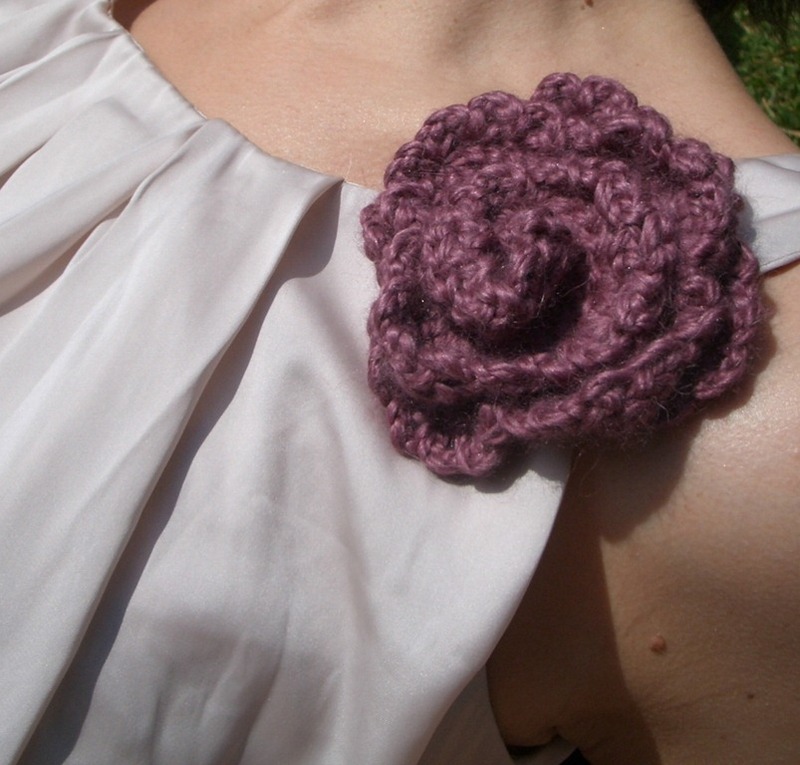 Add a touch of elegance with this stylish dusty pink, rose corsage. 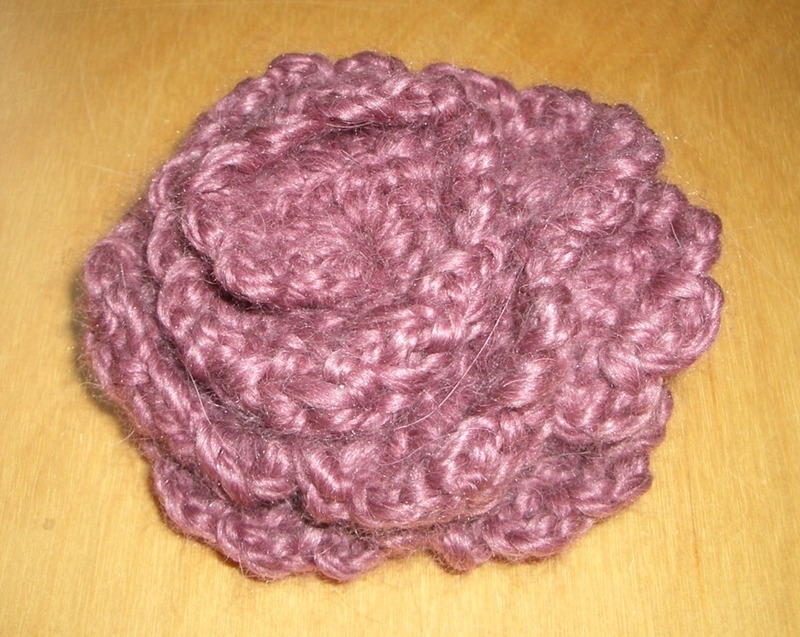 Crocheted from a mix of baby alpaca and silk, this accessory is approximately 8cm (3 inches) in diameter and is held in place with a sturdy brooch clasp. 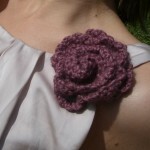 Flower pins are very fashionable right now. Use to accessorise your shirt, a scarf, hat or to fasten a wrap across your shoulders. 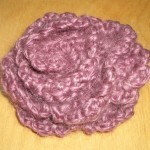 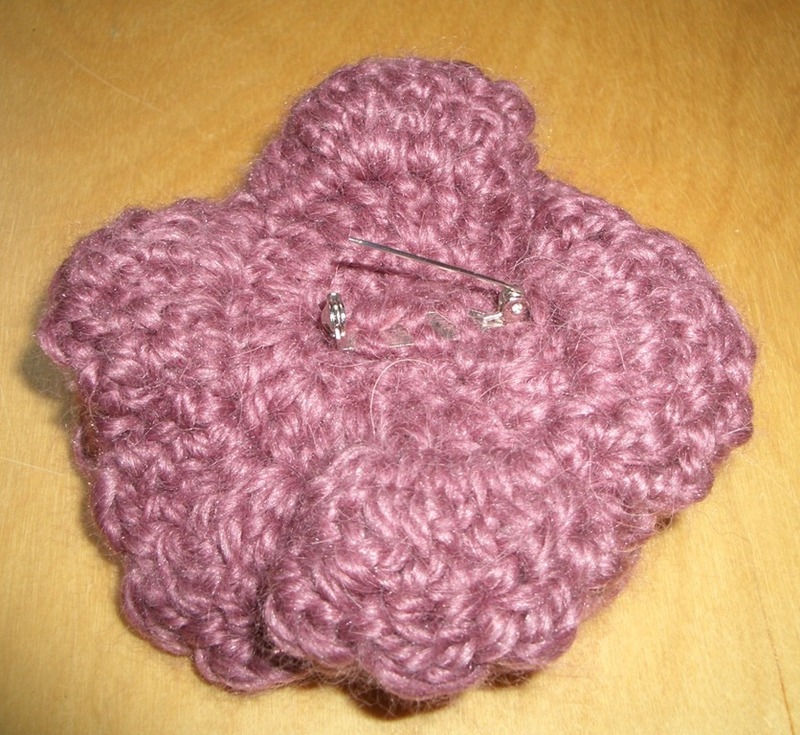 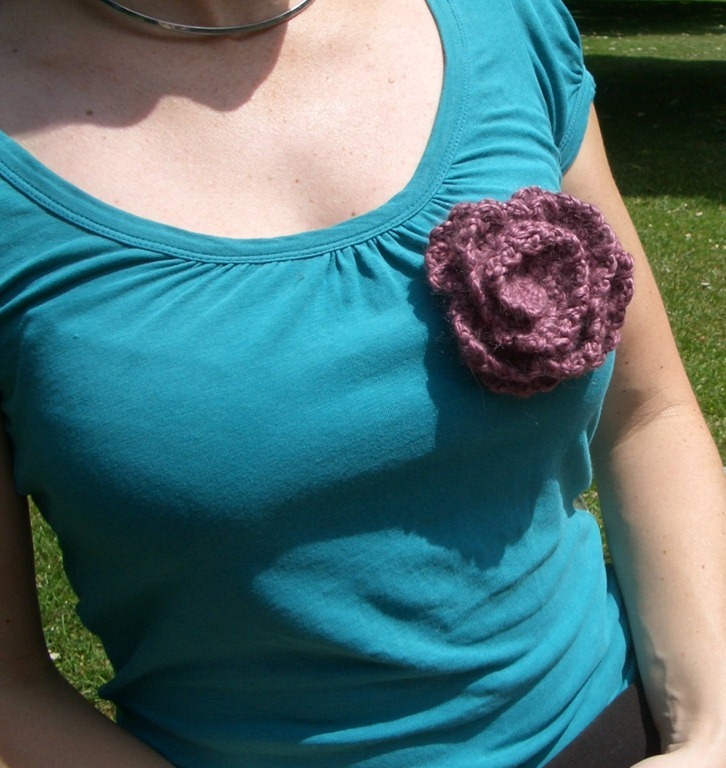 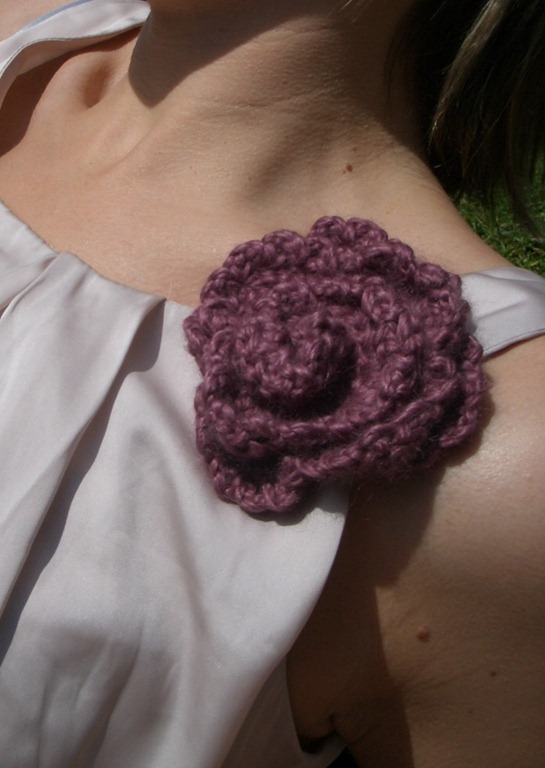 As with all items at Handmade by Simone, this rose corsage can be made using any colour or type of yarn you wish. 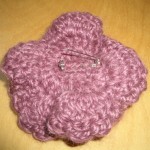 I can also resize this to your requirements.